Bringing innovative ideas to fruition can be a daunting task and requires the efforts of many specialized professionals within a company to deliver a final product that features advanced technologies in combination with reliable performance. One firm that has constantly been able to deliver on innovative technologies is Comtech EF Data. A recent example is Comtech EF Data Corporation’s new Durostream AHA725 and AHA723 WAN Optimization appliances with packet protection from the firm’s AHA Products Group. The AHA725 model is packaged in a 1RU rack-mountable chassis and supports WAN data rates up to 1 Gbps. The AHA723 is the compact form factor model that supports WAN data rates up to 50 Mbps. The Durostream WAN Optimization solution provides a resilient, full-duplex, point-to-point survivable tunnel that dynamically adapts to network conditions to maximize throughput and minimize latency. The products address the challenge of packet loss on unreliable networks when streaming video or transmitting time-sensitive data. At just 1 percent packet loss on a 1 Gbps WAN link, and 10 ms round trip time, a normal unprotected link using TCP/IP will only achieve 2.8 percent of the theoretical throughput as opposed to 96.6 percent, if the same link is protected with Durostream. Forward error correction (FEC) technology and header compression are employed to ensure protocol overhead and latency due to re-transmissions are minimized, while retaining the ability to overcome sustained packet loss rates of 75 percent. Durostream is particularly suited to protecting VoIP traffic, streaming video, live event broadcasts, public safety and critical infrastructure communications, business continuity and disaster recovery operations, remote backups, and general data transfer. By placing a Durostream appliance at both ends of a WAN link, data loss and decreased throughput due to suboptimal network infrastructure can be avoided. Joel Bifford, the company’s Sales Manager for AHA Products, said that the company’s Durostream product line enables the use of unreliable existing network infrastructure for broadcasters, enterprise and government users. Having two model options allows even cost-sensitive users with lower bandwidth and limited space applications to leverage the operational benefits of Durostream on previously unusable networks. 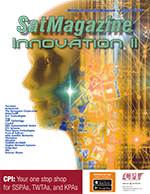 Satnews Publishers had the opportunity to hear from the company’s Vice President, Cellular Backhaul Business Development, Mr. Michael DiPaolo — he offered the following regarding why innovation is important to the industry and, in particular, to Comtech EF Data. “Innovation is the mechanism through which our industry achieves and maintains relevance and competition. In our remarkably fast-paced industry, there is the constant need to demonstrate and create value for clients and the overall communications ecosystem, particularly as the world becomes ever more reliant on digital communications to satisfy industry and societal needs. This is particularly important when satellite communication is the only option that is capable of addressing the user requirements, such as reaching rural locations in both advanced and developing nations, and supporting mobility applications like Cruise and Aeronautical. The satellite communications ecosystem relies on innovation across all aspects, including in space, on the ground with ever-improving modem products, such as those offered by Comtech EF Data and even to the amazing pace of innovation in the LEO, MEO and launcher communities. “For Comtech EF Data, our focus for innovation has always been to be the leader in delivering the highest spectral and transport efficiencies to ensure that satellite operators and service providers fully leverage capacity holdings. Years ago, Comtech EF Data demonstrated innovation by introducing high-performance Turbo Product Codes at a time when the majority of the market was still using Reed Solomon or other lower efficiency coding. Our offerings continued to evolve to include DoubleTalk® Carrier-in-Carrier®, advanced LDPC coding, and our current VersaFEC®-2 modulation, which provides DVB-S2X performance with minimal delay, and is ideally suited for applications at all data rates where users demand Quality of Experience (QoE). It may seem ironic that our innovations are intended to save on satellite utilization. You would figure the satellite service providers would not be supportive of these type of innovations as they are trying to sell more capacity. However, the reality is that users are starved for bandwidth and if they can get a lower price per Mbps, then they are more likely to deploy more Mbps and thereby more satellite capacity. Our innovations have led to a decade long positioning of Comtech EF Data as the premier supplier of SCPC across all markets and the most respected name in the industry. Michael then added, “We see, today, that the satellite service operators innovating on their side to deploy HTS platforms which, if coupled with high-performance ground equipment, can significantly bring down the cost per Mbps making delivery of new services across satellite affordable and competitive. “Our latest innovative product/solution is called the Heights Networking Platform, which has been designed specifically to complement the HTS environment. Heights is a point-to-multipoint (hub and spoke) platform with shared outbounds and shared return channels that are dynamically allocated with our Heights Dynamic Network Access (H-DNA) algorithms. As we see it, the principal benefit that HTS provides is highly powerful beams over defined limited coverage areas (versus lower power distributed across traditional wide beam coverage areas). Our Heights Networking Platform was designed to address the needs of operators, service providers and owner operators in mobility, government, premium enterprise and Mobile Network Operator (MNO) sectors where it simply must work matters most. An example of a key feature is the delivery of high modulation across HTS allowing users to benefit from the highest Mbps/MHz conversion rates in the industry while benefiting from on-demand shared bandwidth capacity. Our Heights solution essentially provides all the benefits of high modulation/availability/delay and jitter that we normally associate with quality SCPC solutions, while also providing the beneficial dynamic bandwidth management and sharing that makes TDMA services so attractive but without the inherent compromises of TDMA (excessive jitter, more latency and poor QoE). Mr. DiPaolo believes a number of technologies will drive the space and satellite industry over the next year or so... “The company believes the correct technologies and development roadmaps are in place to address the firm’s target markets. Specifically, those markets are driving demand for big bandwidth and high Quality of Experience (QoE) including mobility, government, premium enterprise, and MNO. “The Mobile Network Operator market is primarily driven by demand for bandwidth and deployment of 3G, 4G and eventually 5G. We already have solutions capable of providing upwards of 1 Gbps of optimized LTE and 5G traffic across satellite. Many MNO customers have already selected Heights to support their 2G/3G/4G rollouts over satellite. Many of our Heights customers are benefiting from high efficiency outbound and inbound carriers operating a five order modulations (32ary) which, coupled with our integrated header and payload compression and integrated LTE optimization, are running at average efficiencies of 6 bits/Hz in both directions, far exceeding the efficiencies of traditional TDMA vendors. Our solutions are field-proven to provide MNOs with the highest performance and preservation of highest levels of Key Performance Indicators (KPIs) on the market. To the MNO, high KPI scores are essential to comply with regulatory requirements and offer service profitably and with highest level of customer satisfaction and in that respect, Comtech EF Data far outshines the competition. “Another key market worth highlighting is high-end mobility where the leading cruise and oil & gas companies require ever-increasing levels of raw throughput to address the ever-growing demand for passengers and crew to access social media, remain connected with their loved ones and continue to work should that be necessary. After all, who isn’t connected 24x7 today? Also, the associated businesses demand connectivity to operate to the highest possible efficiencies particularly as they become more reliant on and take the opportunity of the business intelligence and remote operations techniques made possible through initiatives such as the Industrial Internet of Things (IIoT). Robust, high-performance mobility-enabled products are and will remain a key deliverable for Comtech EF Data today and into the future. “We continue to see important innovation around pure trunking, be that for ISPs, fiber restoration and disaster recovery purposes, and now into the various LEO and MEO initiatives. Innovation doesn’t stop with the technology. Business model innovations can also be realized via partnering approaches that best meet the continually evolving expectations of the community. 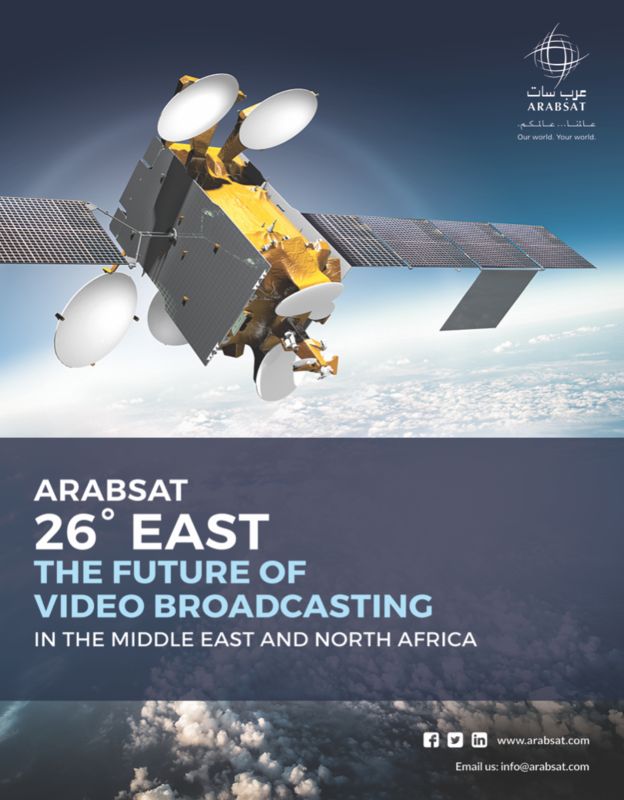 “It is exciting to be involved in the satellite communications industry. 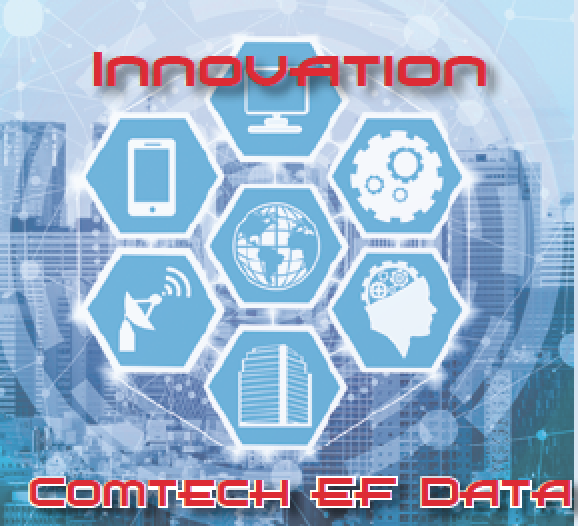 Innovation is at the heart, and Comtech EF Data is proud to an important contributor within the ecosystem.